Founded in France over 40 years ago by Rene Guinot, a well known chemist, the collection of skincare products are world renowned. With your beauty therapist you will discover the pleasure and effectiveness of professional skincare treatments. Just as medical treatments advance, Guinot regularly updates its treatment techniques to make them even more effective and enjoyable-with visible results. For over 20 years the Dermalogica philosophy, that looking good is a product of skin health, has been central to every product developed. Made with the purest finest ingredients available, all of which help improve and sustain skin health. Achieved through face mapping analysis and the subsequent prescription of product. All ingredients are sourced from eco-safe sources and are packaged in re-cyclable containers. Bare Escentuals started the revolution in mineral make-up with the award winning 100% “bare Minerals”. “bare Minerals” looks like a powder, feels like a cream and buffs on like silk giving a natural luminosity. No preservatives, talc, oil, fragrances or harmful chemicals. Their make-up line offers, lip colours, lip glosses, mascaras, foundations, eyeshadows, blushers, shaders and skin preparations. Probably more than any other professional nail care product it produces, OPI is known globally for its exquisite nail polishes – a brilliant chip- resistant formula available in over 200 fashion – forward colours. With clever names that clients look forward to with each new collection. OPI nail polish is beloved around the world. Products used for their indulgent manicures and pedicures are pure and not tested on animals. The Shrinking Violet Body Wrap is a pain free inch loss treatment that removes unwanted fat from all over the body, it does not rely on dehydration or water loss for its results. You so not need to exercise or diet to achieve inch loss. It has a unique blend of ingredients to promote a slimmer, leaner silhouette. 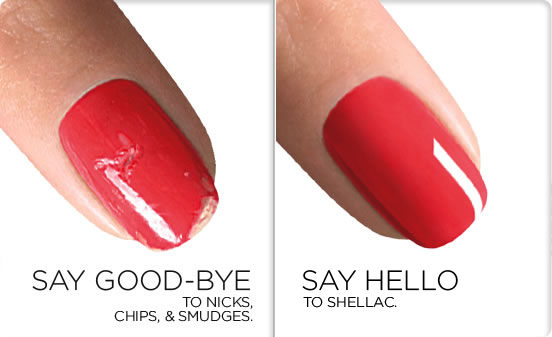 Shellac is a breakthrough technology that combines the ease of polish with the permanence of gels. No other products in the market can stand up to the claim – on like polish, wears like gel, off in minutes. Lasts for fourteen days. Beautiful colours. Fake Bake gives long lasting more natural looking results. It is made from naturally derived ingredients. They are pleasantly fragranced and do not leave a strong smell often associated to other tans. Fake Bake products are not tested on animals and are free from Parabens. 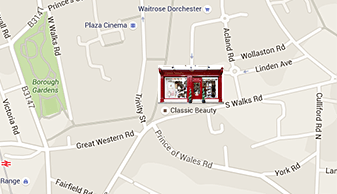 In partnership with Harley Court Cosmetics Centre we hold regular non – surgical cosmetic clinics within our salon. Fully accredited Karen Riley MA Bsc (Hons) RGN is one of the souths leading practitioners and to date has carried out over 35,000 non – surgical treatments. If you have ever wondered if these treatments are for you, why not book a free confidential consultation. When a person discovers their personal colour palette and make-up they project a better image. Each season has a colour palette, which enhances a particular type of colouring and when this seasonal colour theory is totally applied, to include, hair, eyes, skin, make-up and clothing a transformation takes place. You will have a sparkle and glow that you never had before when they were not in complete harmony. Increasing numbers of people have enjoyed and benefited from the pleasant effects of this age old ceremony. Handmade from pure beeswax, honey extract and traditional herbs this treatment has a purely physical function. A light suction action and the movement of the flame create a vibration of air in the earcandle, generating a massage-like effect on the eardrum. This induces a pleasant feeling of warmth and a balance of pressure in the ears, forehead and sinuses. It is soothing and helpful for earache and headache, ear noise, stress and nervousness. This treatment brings a wonderful relaxation and a feeling of happiness.